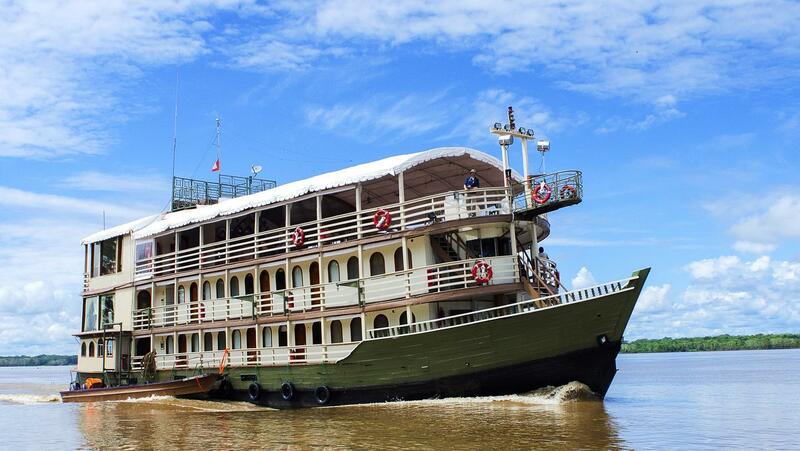 Hop aboard a riverboat and experience the Amazon in style. Led by an Amazon Reserve naturalist guide, your cruise will include daily excursions by motorized skiff designed to reveal the exotic wildlife that calls the rainforest home - with any luck you’ll spot sloths, toucans, or pink dolphins! And, with two full days for exploration in Pacaya–Samiria National Reserve, you'll have the chance to experience the jungle up close. The cuisine on board is regional and provides a unique and delicious window into local culture. 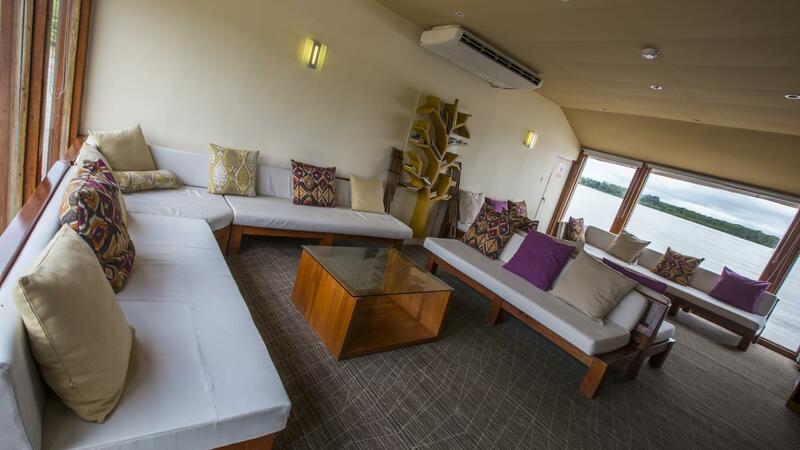 Gain a rare glimpse of how life "on the river" is lived and experience the magic of the Amazon on this riverboat adventure. Small group experience; Max 30. Get a different perspective of this vibrant city by visiting its highlights at night. Enjoy round-trip transportation and learn about the history at Plaza San Martin while taking in panoramic views, continue on to the iconic Plaza de Armas and soak it all in. End it off with a spectacular water show complete with lights, music, and dozens of fountains at the "Circuito Magico del Agua." 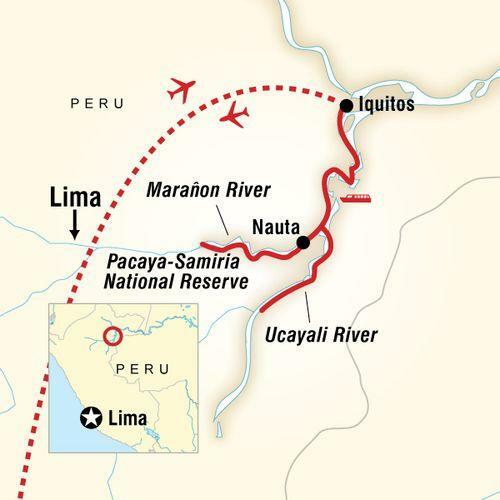 Contact Ruben (Best Bite Peru) at +51972584092 for further information. Discover Lima’s highlights on this half-day guided tour. 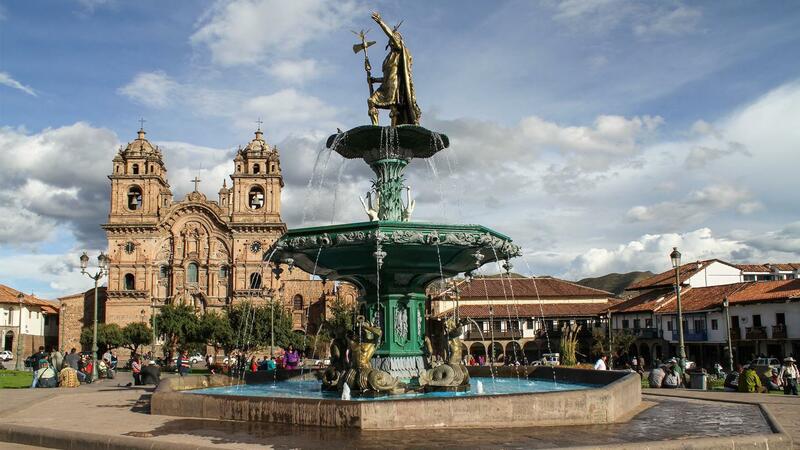 Visit the San Francisco Church and its impressive catacombs, walk around Plaza de Armas, and get to know some of Lima's lovely neighbourhoods. For more information contact Ruben (Best Bite Peru) at +51972584092. Visit the Lost Inca Citadel - Pachacamac, a series of pre-Incan adobe structures dedicated to Pachacamac or the "Earth Maker" located about 30km from Lima. Visit the Peruvian Inquisition headquarters showcasing somewhat grotesque wax figures in scenes of imprisonment and torture. Get a taste of Peruvian cuisine, visit local markets, sample exotic fruit, select fresh ingredients, and try your hand at preparing unique Peruvian dishes influenced by China, Italy, West Africa, and Japan. This activity is supported by the G Values Fund – a funding initiative that provides low-interest loans to CEOs who wish to start businesses that enhance the experience of our travellers. Best Bite Peru is run by former CEO Ruben Diaz. Contact Ruben (Best Bite Peru) at +51972584092 for further information. Downsize from the Riverboat and step onto a motorized skiff. Listen to an expert naturalist guide describe the surrounding area while spotting wildlife as it passes by. 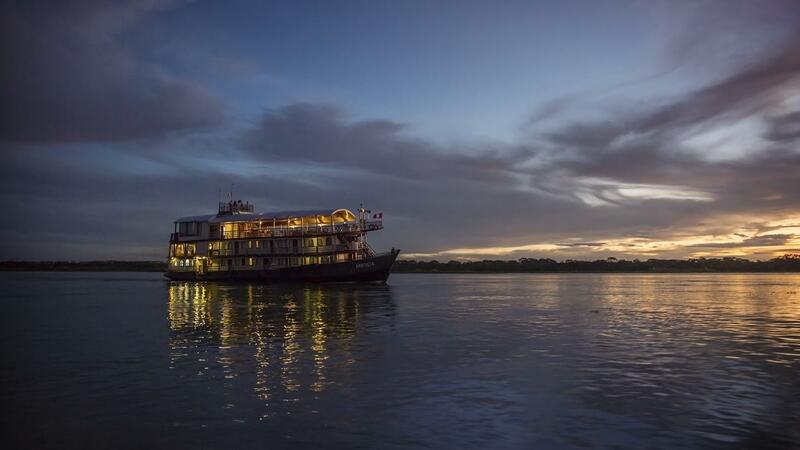 Take advantage of this nighttime boat ride in the wild, and watch the Amazon become a different domain. Be on the lookout for bats, capybaras, black caimans, poison frogs, and a vast number of other species. See if our flashlights will reflect the ‘red eye shine’ of the black caiman or show the glowing yellow eyes of a jaguar! Hop aboard and float on to the next stop. 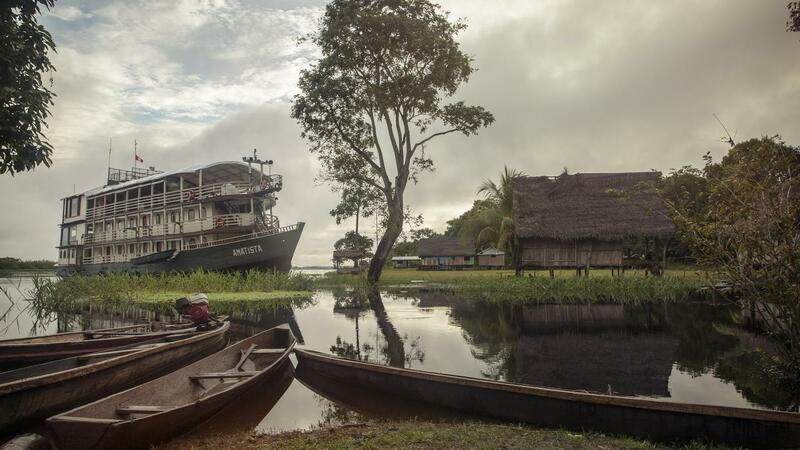 Rise early to head out in this birdwatching haven on the search for over 200 bird species that call the Amazon home. Try to spot parrots, macaws, herons, kingfishers, swallows, martins, falcons, black collared hawks and many more. The guides will point out the interesting wildlife species that inhabit the riverbanks, and unusual fish and vegetation that can be found in the river. Stay on the lookout for squirrel and wooly monkeys, caimans and sloths. Leave the boat behind and take a walk through the jungle. Visit a local community to learn about their traditions. 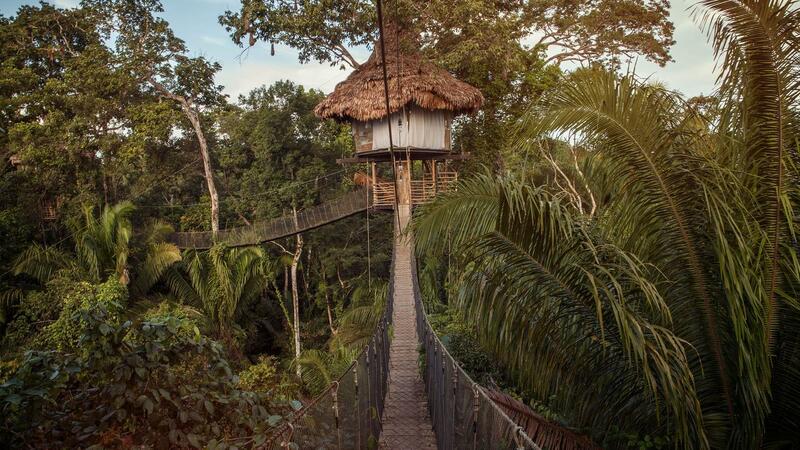 Pay a visit to the jungle town of Nauta. Ride the local motorcars and browse the local market during this included tour. Try your hand at bargaining and pick up some souvenirs! Visit the Sapisapi River. Keep a look out for turtles along the way! 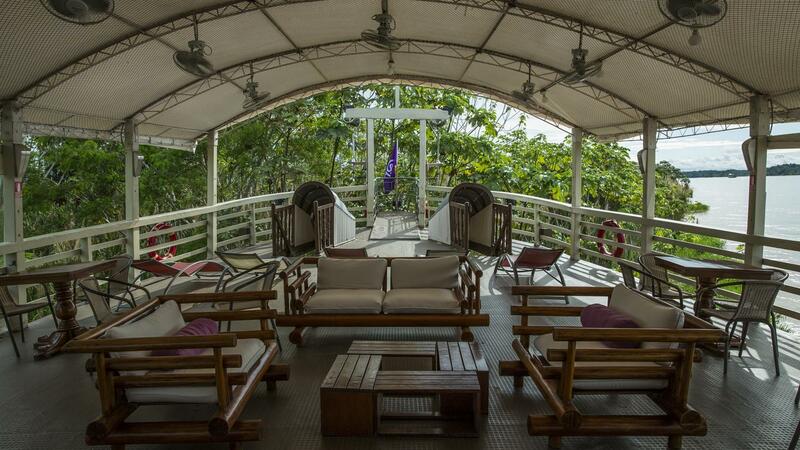 Go on an early morning excursion to watch the rainforest world wake up. Spot iguanas, river turtles, cormorants, or wattled jacana, and gain insight into another side of the jungle. Rise early to visit the Pacaya-Samiria Reserve, Peru's largest national park and home to more than 200 bird species and 10 primate species. Have the chance to view cocoi and striated herons, macaws, squirrel and woolly monkeys, caimans, and sloths. Follow a route that crosses the tributary waters of the Marañon. Along the way, the guides will point out the interesting wildlife species that inhabit the riverbanks, and unusual fish and vegetation that can be found in the river. Walk along the banks of the Ucayali River to explore the Yucuruchi region of the Amazon, and to have the opportunity to see the Victoria Regia water lily — a gigantic aquatic plant with leaves that measure up to 3m (10 ft) in diameter. Keep a watch out for the Amazon River dolphin, giant otter, and the Amazonian manatee, which all make their home in Ucayali’s waters. Be welcomed into the home of a local Indigenous family. Share conversation over a midday meal, and be introduced to their culture and way of life. Participate in an unforgettable opportunity to gain insight into a new and different world. Gain rare, firsthand insight into Shamanism in meeting a practicing shaman in a river village. Be introduced to his spiritual healing craft and learn about rainforest plants that indigenous peoples have, for untold centuries, held to possess curative properties. Rise early and set out to explore the impressive biodiversity of the area's unusual ecosystem. Look for a quiet spot to enjoy a picnic breakfast, followed by a trip to explore Choroyacu. Ride up the Nahuapa River for piranha fishing. Visit Choroyacu Creek to have the opportunity to climb in a dugout canoe and explore this scenic area with the locals. Learn about the efforts of the Amazonian Manatee Rescue Centre, an organization focused on rescuing orphaned manatees that were the victims of poaching. The centre helps to rehabilitate and reintroduce these very rare and endangered mammals back into the Amazon Basin. Take this opportunity to observe these amazing and lovable animals – be sure to bring your camera! 8 breakfasts, 6 lunches, 6 dinners. Recharge: Local Shaman Visit, Pacaya Samiria National Reserve. Arrival transfer. 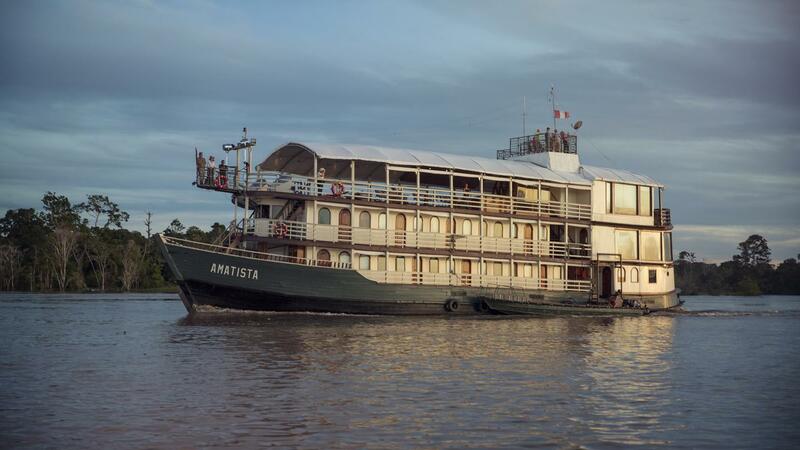 Cruise aboard the Amatista Amazon Riverboat (6 nts). Orientation tour of Iquitos. Launches and land excursions with our expert naturalist team. Internal flights. All transport between destinations and to/from included activities. 3. Water Levels - please note that excursions and activities while on the riverboat are dependent on fluctuating water levels and are subject to change. The warm and humid climate remains relatively constant throughout the year, giving this area its botanical category of "Everwet Tropical Forest". Normal daytime highs are 32º C (90 ºF) and nighttime lows are 23º C (74 ºF). The Amazon Region contains the world’s largest tropical rainforest, the world’s longest river, and perhaps the greatest diversity of wildlife to be found anywhere. More than 4000 species of birds, 2000 species of fish (more species than are found in the Atlantic Ocean), 60 species of reptiles, including the caiman and the anaconda, the world's largest non-venomous snake, and a great variety of mammals such as the jaguar, pecary, anteater, tapir, capybara and pink dolphin.